JIQ is dependent upon the generosity of people like you to support its unique academic and enrichment programs. Because quality day-school education is so costly, full tuition payments by the parent body do not cover the cost of educating our children. In truth, Jewish day-schools have many fewer supporters than universities or large charities. Because the number of individuals who give to JIQ is small, and our need is large, your gift makes a tangible difference! In addition to securing funds for the school's ongoing operational needs, JIQ also plans for its long-term growth and overall stability. Vehicles to support this kind of institutional stability are summarized below. Annual Gifts: these gifts subsidize the school's current-year operating expenses. Annual gifts make up the difference between what tuition covers, and the actual cost of running the school. These gifts are spent on items within the school's operating budget, such as teacher salaries, books, supplies, etc. 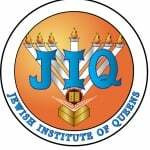 JIQ will need to raise ~$400,000 for the 2014-2015 academic year to meet its annual budget. JIQ aims for 100% participation to the annual fund from its parent body. Capital Gifts: These gifts provide for renovations and ultimately for building an extension onto the current JIQ campus. How to give: We greatly appreciate your generosity, and try to make your giving experience as simple as possible. All donations are 100% tax deductible. Donations can be made by check (payable to Queens Gymnasia), or credit card. We accept one time, and scheduled (i.e. monthly or quarterly) payments. We can also facilitate transfer of stock or other assets to the school. Please call for further information.